My experiences as a nurse and midwife have taught me many things. 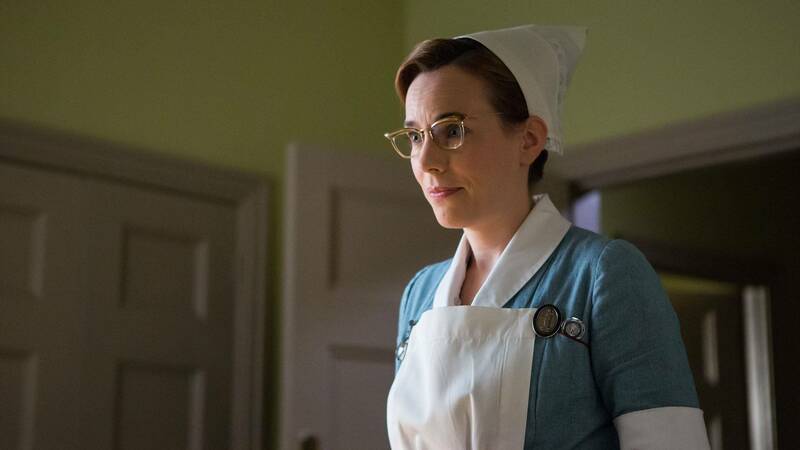 This last heart-wrenching episode of Season 5 found me contemplating three truths and lessons I will take with me and use as I transition beyond my midwifery career. My philosophy of midwifery is my philosophy of life and will continue to influence every experience I encounter. Of that I am certain. Truth: Physicians don’t always know as much as we think they do. I’ve learned not be intimidated by the letters after someone’s name. We are all human and live in the same flawed world. The Hippocratic oath says, “Do no harm” but how could Dr. Turner have known? As a midwife, as a patient or as a family member I have learned to trust my observations and clearly communicate this to the physician involved. My perspective as a specialist in normal birth was often very different, and dare I say more accurate than my physician colleagues. As a patient, only I know how a prescription makes me feel. As a caregiver only I have the day-to-day experiences with my loved one to judge his progress and needs. The best physicians listen, appreciate and use this knowledge. Lesson learned: Communicate, communicate and communicate. Truth: Everyone, at their core, is the same. No matter the race, culture, native country, age or gender, we all get lonely, homesick, fearful or heartbroken. We all have hopes and dreams. Like our Poplar midwives, Detroit midwives have been privileged to serve a diverse population. I, like Barbara and Sister Evangelina have found how appreciated a few words spoken in a patient’s native language can be at key moments. My few words of Spanish or Arabic are often met with surprised smiles. I’ve learned that providing understanding, respect and kindness to all has deep personal reward. In fact, I am hoping it will be part of my professional legacy. Years from now, as families remember their child’s birth I trust they will remember my kindness. Lesson learned: Be kind to all. Never assume anything by how someone looks, dresses or talks. Truth: Midwifery is the skill of getting through life. Life is one transition after another. Childbirth is the transition midwives are known for but supporting a woman through pregnancy, labor and birth is not unlike getting a woman through menopause, a teenager through adolescence or a friend through grief. Basically, it is being there and allowing the process to unfold. I have taught paced breathing techniques to laboring teenagers, hot flashing women and panicky family members of both genders with good result. When I face my own personal life challenges, I remind myself to get through it “one contraction at a time." I remember how labor is hardest right before birth. I remember that the toughest labors end with reward cradled in our arms. Lesson learned: All transitions are easier with patience and support. Give it and seek it whenever needed. There are many other truths, of course, but the ultimate truth, as dramatized in this episode, is death. When my time comes, I hope to go as Sister Evangelina did: falling asleep in a comfy chair at home by the fire with a cuppa by my side. She was able to pass through this final transition naturally at home with peace just as her patients had birthed under her care. Perhaps she dreamt of hearing that magical first gasp and cry of the newborn that she so clearly relished at the last birth she attended. I love that sound as well and will miss hearing it when I retire. RIP Sister Evangelina. And so as Dean Martin croons: Goodnight Sweetheart, Til We Meet Tomorrow (or next season). Good night, midwives. Good night all.